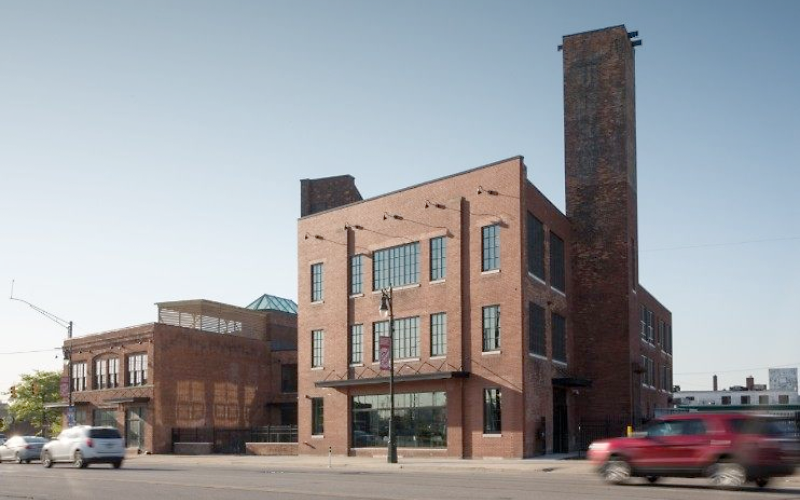 DETROIT, May 24, 2018 – Marking its return to the Motor City, Ford is moving its electric vehicle and autonomous vehicle business teams into a refurbished former factory located in Detroit’s historic Corktown neighborhood. Much more than just a relocation, the move is a purpose-driven strategic decision, offering a new work environment and customizable workspace that will enable the acceleration of Ford’s push into electrification and strengthen its development of self-driving vehicles. 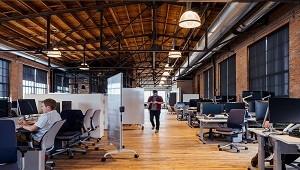 Serving as home to a number of companies over its 110-year history, the former factory is located in a thriving neighborhood that gives Ford teams the opportunity to immerse themselves in the lifestyle and mobility challenges of an urban environment. This daily immersion allows them to identify problems and generate solutions that will inform the development of the company’s self-driving and electric vehicles. 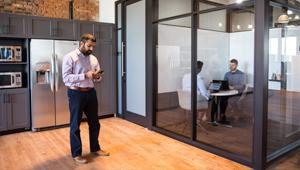 The historic 45,000-square-foot building has undergone extensive renovation to bring about optimal working conditions for employees dedicated to autonomy and electrification. 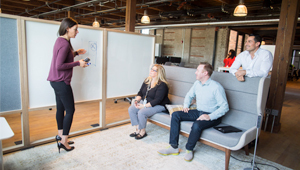 The newly designed layout fosters collaboration and team building, with rolling desks that allow groups to customize their workspace as needed, flexible options for meetings, and interactive screens that make working together easier. Corktown employees are part of cross-functional global teams working with product development, purchasing, and marketing, sales and service groups around the world to deliver the right vehicles for customers in each region. Part of an $11.1 billion investment in global electric vehicles announced earlier this year, the Corktown location is now home to Ford Team Edison, the company’s dedicated global electric vehicle team. The team is moving quickly to deliver electrified vehicles that offer exciting experiences and enhanced capabilities based on what people need and want – including the all-new Mustang-inspired battery-electric SUV slated for 2020. In the next few years, Ford plans to offer hybrid options on high-volume nameplates such as Mustang, F-150, Explorer, Escape and Bronco, in addition to hybrid options for every new Ford SUV introduced. The work done in Corktown will also help accelerate the development of Ford’s battery-electric vehicle program. A total of 40 electrified vehicles will be available globally from Ford by 2022, including 16 full battery-electric vehicles. Ford’s approach to electrification entails enhancing the best attributes of its vehicles, including performance, capability and convenience. Ford’s new electric vehicles will offer customers additional capabilities – such as an onboard electric generator on the hybrid F-150 – and better mileage without sacrificing the great performance they have come to expect. Since owning a battery-electric vehicle represents a change in lifestyle, Ford is rethinking how to ensure seamless and convenient charging, while also looking to offer full-vehicle over-the-air software updates to enhance capability and features. Working alongside Ford Team Edison will be the company’s autonomous vehicle business team. Ford already is combining its self-driving vehicle expertise with the robotics and artificial intelligence experience of Argo AI. The work in Corktown will complement that effort. With its autonomous and electric vehicle teams working side-by-side, the company will deliver on its plan to develop a purpose-built, custom-designed self-driving vehicle that runs on a hybrid-electric powertrain. Planned to begin production in 2021, Ford’s first autonomous vehicles will be designed to move people or goods, making them excellent tools for businesses to enhance and grow their operations, as well as provide great, intuitive experiences to the customers they interact with. Other key factors in design and performance include commercial-grade quality for lower cost of ownership, improved durability to operate in tough urban environments, and dependable safety features integrated by the teams deeply involved in development. In addition, the hybrid-electric powertrain will help reduce emissions and achieve maximum mileage to keep the self-driving vehicle on the road longer each day. Click here to read more about Ford’s plans for its first self-driving vehicle.